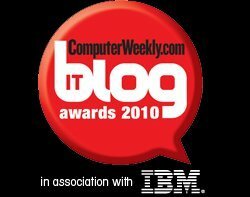 IT Blog Awards 2010: Best International - category information. IT is a global business, and while we are looking for the best UK bloggers we know there are plenty of international blogs that keep the IT community informed. This category is open to any blog outside of the UK regardless of what part of IT they blog about. Get your badge now.